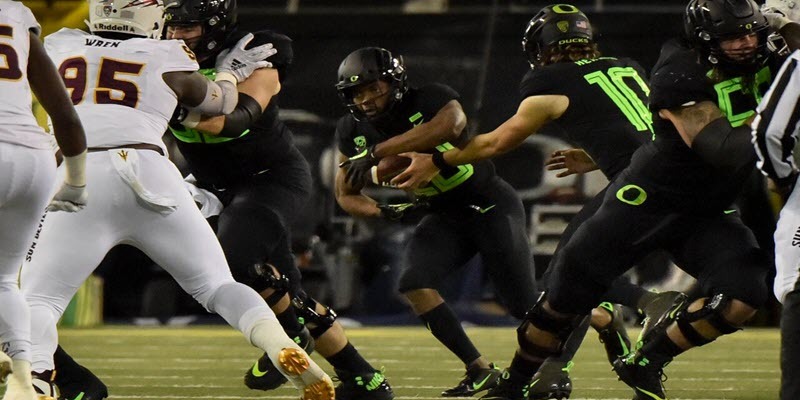 One of a few aspects of the Oregon Ducks offense that seemed unusual to me, as the season progressed, was the lack of gap schemes. Not to say there weren’t any, but for a team that was thought to be a power run team, the scarcity of these plays was puzzling. That was until Oregon’s game against the Arizona State Sun Devils. 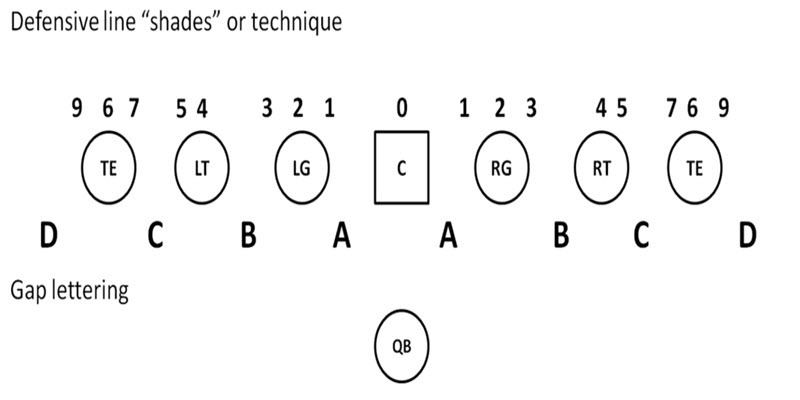 In gap scheme run plays, each offensive lineman is responsible for a gap, unless he is a designated puller. These assignments are almost always down blocks to the very next backside gap. Against Arizona State, Oregon finally broke out the power scheme (above). I had not seen any use of the power in any of the previous games. In fact, the only other gap scheme I saw at any other point was the sparsely-used GT Counter. It’s strange because it seems as though the power would be the perfect base play for the type of offense that Coach Mario Cristobal wants to run. In motion above, check out the assignment of each player. As you can see, playside tackle through center down block into the next backside gap. The backside tackle is going to shuffle into the gap vacated by the guard, pass setting and blocking anyone who rushes the backside of the play. 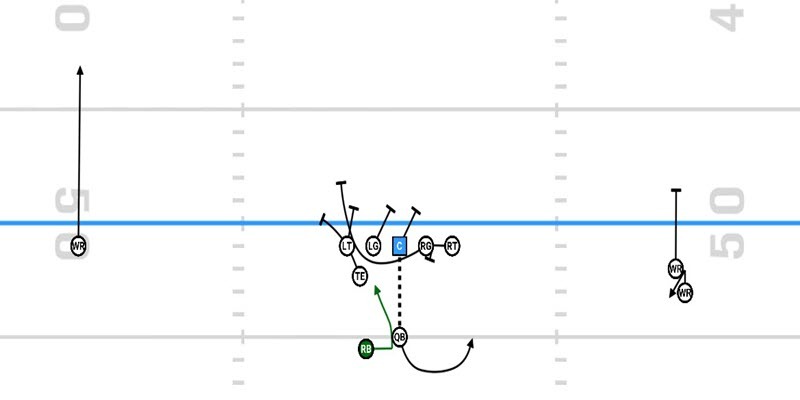 The tight end kicks out and the backside guard pulls and leads through the playside C-gap. On the backside, a WR screen is attached in the event that the offense has the pre-snap numbers to throw it. Because of the way the quarterback rolls out of the handoff, the offense is set up beautifully for a play-action pass, or a naked run if they so choose. Coach Marcus Arroyo has also started to employ a style of pass blocking that includes a pulling guard to sell the run even harder. I believe that the Power should have always been a much bigger part of this year’s offense. It’s a play that can be run from both the shotgun and the pistol. A diverse run game has been missing in large portions of the season. More variation could have helped in a few games, and I hope that it’s something Arroyo sticks to going forward.